The worst keep secret here at Start Fresh these last few weeks has been that we have grown! My new employee Nicole started three weeks ago and finally I’m getting around to officially introduce her. She is a Senior Accountant and will be helping me prepare accounts and returns for my clients. Nicole has been working in the accounting industry since 2011, with experience in both public practice and the corporate environment. 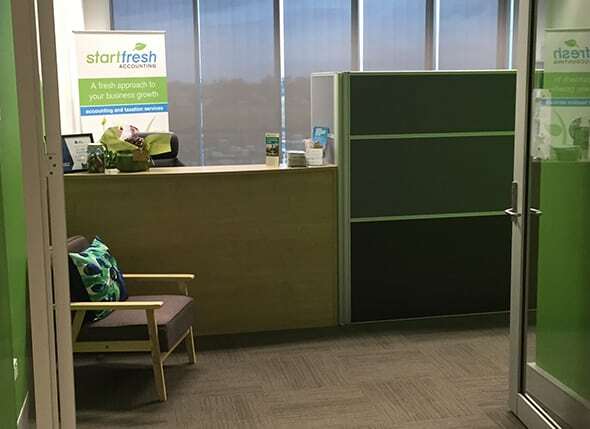 She enjoys working on all aspects of accounting, and has a particular interest working with business clients and Self-Managed Superannuation Funds. Nicole obtained her Bachelor of Business and Commerce, with a major in Accounting from Western Sydney University in 2015, and is currently working towards completing her CPA. During her spare time, Nicole can be found reading novels, watching movies, or spending time with her friends and family. Occasionally, Nicole will be found on a film set doing TV extra work. She will be working alongside me to give more value to my existing clients, and allow me to grow the client base further. We are enjoying having her in the office and look forward to being able to introduce her in person next time you are in the office. Already she has been a good influence on me, as I now take a lunch break with her!